WHO: Calling all Rotary Vehicles?Dust Off Your Ride, Stretch Them Legs and Represent! WHY: In May 1967, Mazda began selling the world's first mass produced rotary engine car! So our Rotary Invasion is actually a Rotary Celebration! Our friends @MilestarTires has graciously reserved parking space for the rotary enthusiast community. * Please arrive early to ensure you can display your rotary vehicle. 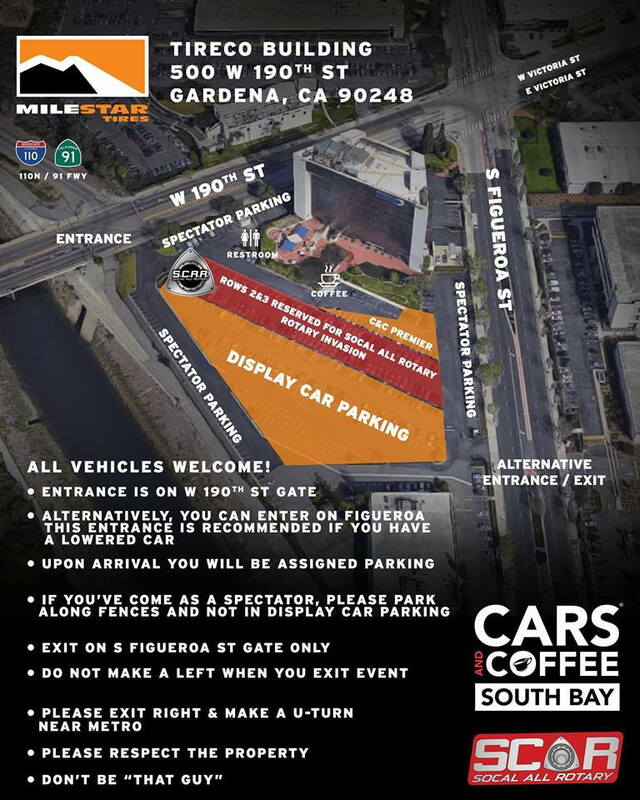 Bring your RX Car, Truck, Bike or RC!! Push, Pull, Tow or Trailer your Rotary Monster. Just bring it! 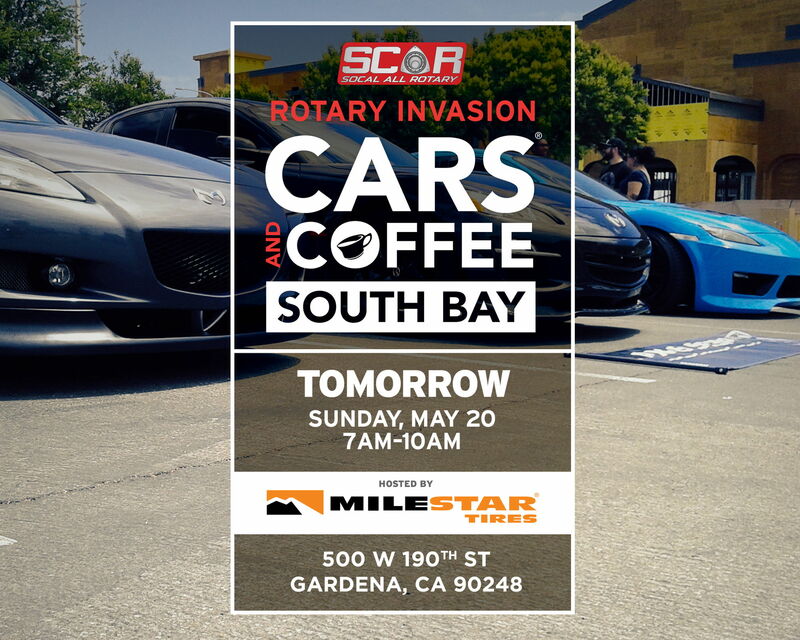 Come hang out, meet other enthusiast and share your passion of the rotary! REspect the spot for all!! 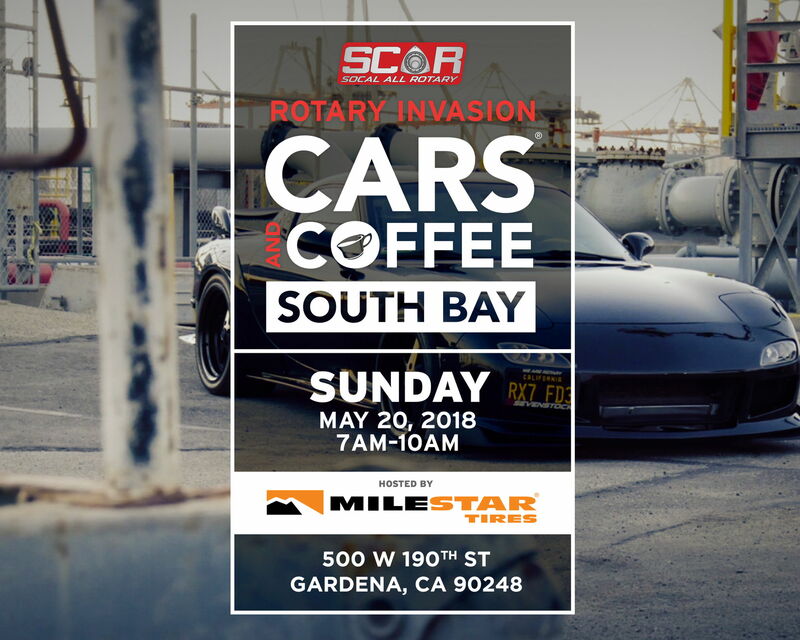 This Rotary Celebration will be an epic Rotary Invasion! The first 51 Rotary Vehicles to drive in at 7AM will be given some cool #Mazda lanyards! #FeelAlive RElive the REvolution - BRAP ON! Some FB love for Wankel Wednesday! 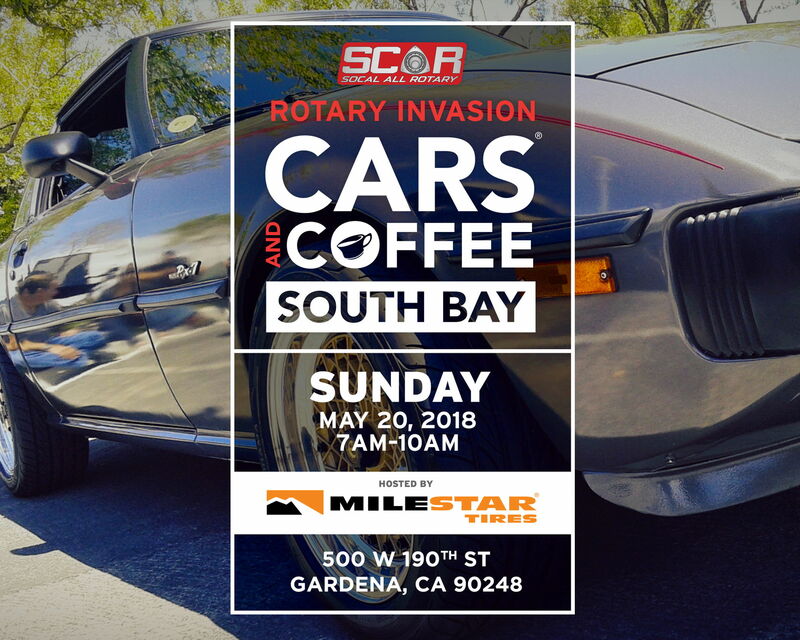 Speaking of such, don?t forget to show some love to the host of #carsandcoffeesouthbay our friends at #milestartires. We are 4 days away! 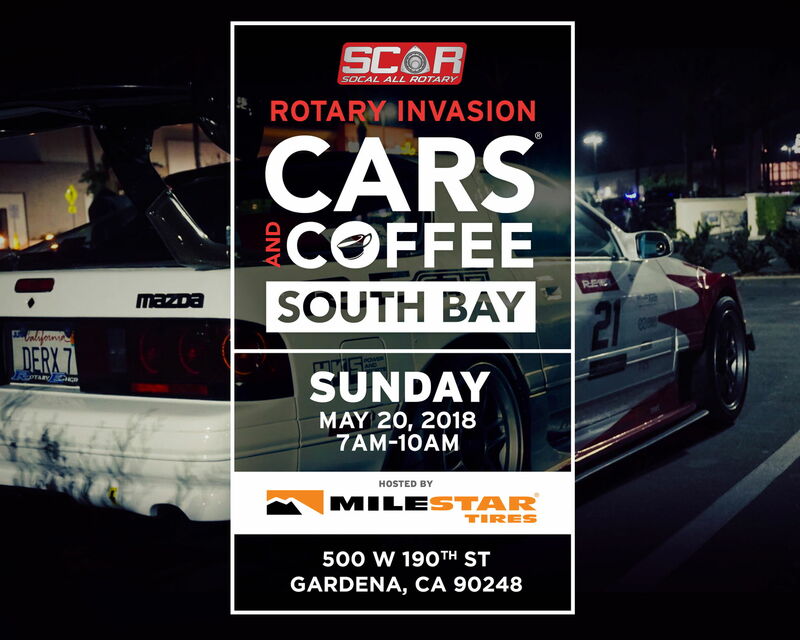 Get those rotaries REady! BRAP ON! Old School is the New Cool! 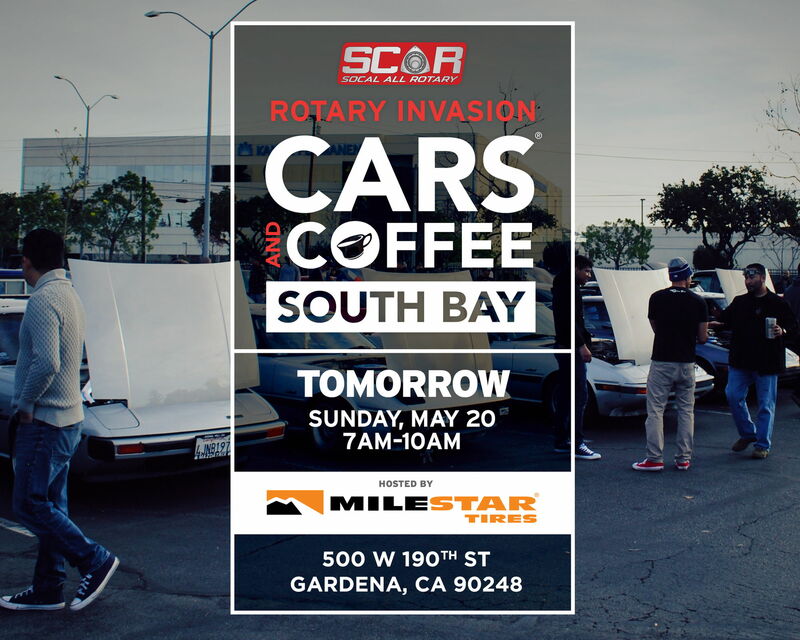 Join the #SoCalAllRotary Invasion of #carsandcoffeesouthbay hosted by #milestartires. Be REady to RElive the REvolution! BRAP ON! 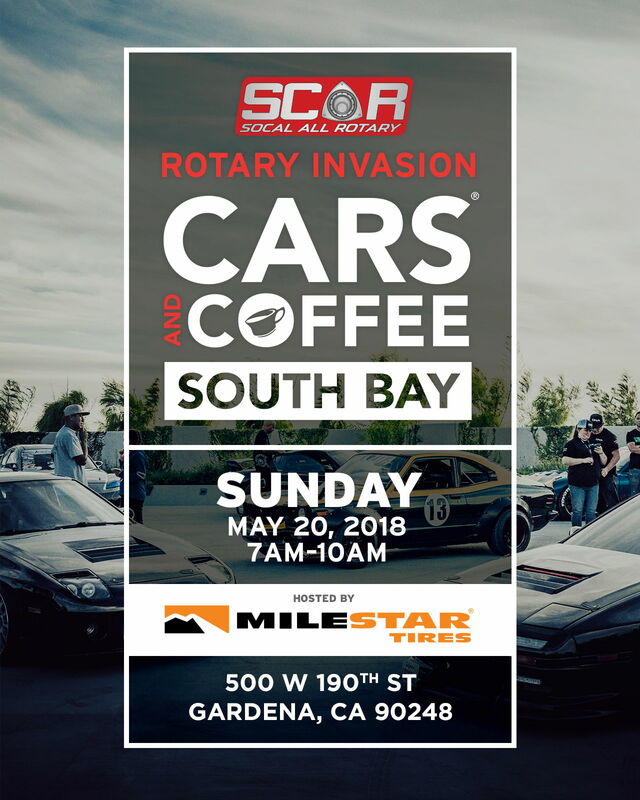 Just a last minute REminder, get those rotaries REady! See you all tomorrow! BRAP ON!